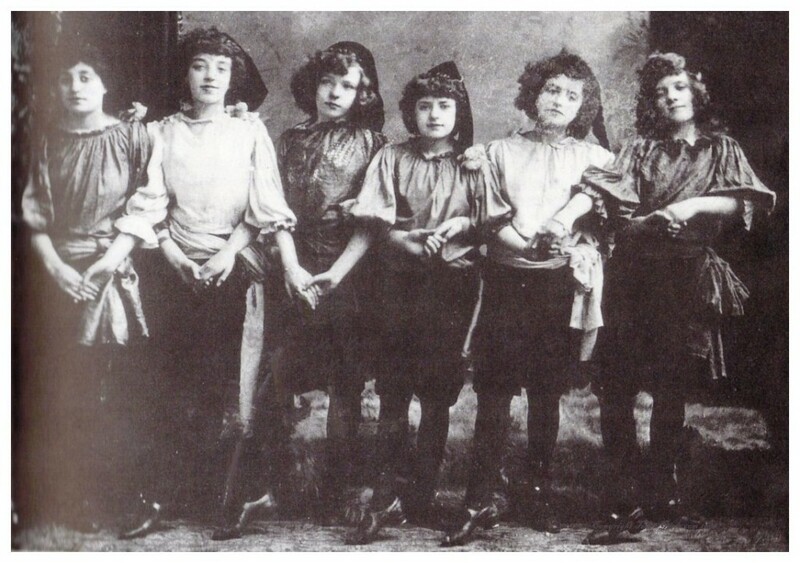 Possibly the earliest photograph of The Tiller Girls 1891, 3rd from left Madge Vernon (Primrose). Then 5th from the left or second in from the right is Bessie Cohen who went on to be a well known stage name. In 1891 John Tiller started a group he called The Tiller Quartette (John Tiller often played with the spelling). They were Patti Bell, Madge Vernon and Amy Knott.